Judge says he wished he had incarcerated Zakiyyah Steward, who killed engaged Jewish couple in a fiery car crash while driving drunk. 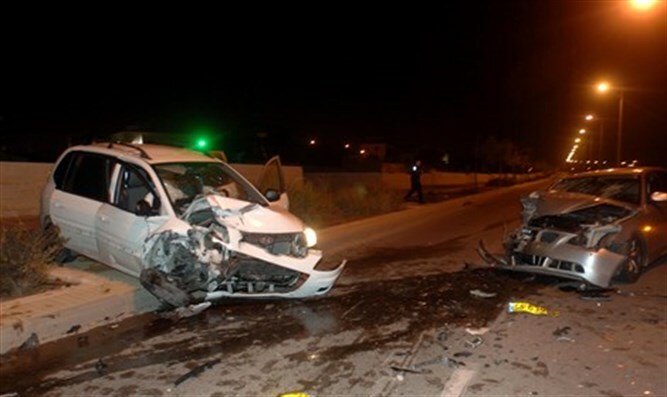 A judge who had refrained from jailing the women responsible for killing a newly engaged haredi couple while driving drunk now says he regrets his leniency. Brooklyn Supreme Court Justice Matthew Sciarrino had decided not to jail 25-year old Zakiyyah Steward after she was arrested for robbing her former employer. At the time, Sciarrino sentenced Steward to a rehabilitation program. Now, Sciarrino says he regrets not giving her a jail sentence after she killed Yisroel Levin and his fiancée Elisheva Kaplan in a fiery crash earlier this month in New York that shook the US Jewish community. "We were unsuccessful getting her the treatment she needs as it was detailed in these reports,” Sciarrino told the New York Daily News. "I’ll take the blame for giving her too many chances." The newly-engaged haredi couple was killed in a five-car accident after being hit by Steward on the Nassau Expressway in Inwood, NY, around 1:30 a.m. The couple died in the fire that resulted from the collision. The couple, Yisrael Levin and Elisheva Kaplan, were engaged earlier that weekend their wedding was scheduled to take place in two months. Levin was laid to rest in Beit Shemesh last Sunday evening while Kaplan was buried in the United States. According to authorities, Steward was high on marijuana and alcohol at the time. “The defendant was high on marijuana and drunk and driving in an extremely reckless manner that resulted in a fatal crash where two people died," said Brooklyn Assistant District Attorney Robert Zweibel.